Workers’ Compensation is a type of insurance purchased by employers which provides coverage for the employer and the worker. The coverage is intended to protect the employer from lawsuits and to provide benefits for the worker in the case of an injury or illness while working. 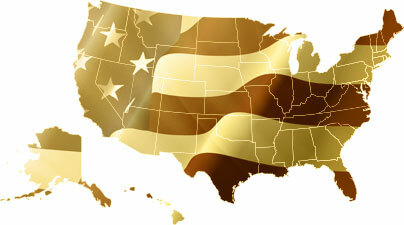 Some level of workers’ compensation insurance coverage is required by law, though the type and extent of coverage can vary from one industry to the next and from state to state as well. There are additionally special protections and legal avenues available for workers in certain fields, like construction, for example, in which contractors from several businesses may be working on a single project. Workers’ compensation, which is also commonly referred to as workers’ comp and workman’s comp, provides medical coverage for an on the job injury or work related illness, as well as job protected status while recovering. All benefits under the workers comp system are subject to eligibility under the plan and workers must follow all appropriate steps as laid out by the provisions of the insurance coverage itself in order to see a claim approved and benefits paid under the plan. Many employers also carry a disability insurance plan which can be used in combination with workers’ comp coverage to provide pay for an employee while recovering from an on the job injury or work related illness. There’s usually a waiting period during which a claim is reviewed, and if the injury or illness is found to be work related, the disability insurance would begin to pay a benefit to the employee for workers’ comp related absences from work. 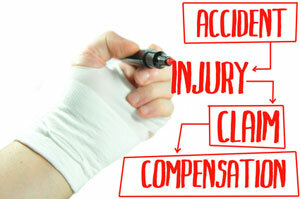 Workers’ comp claims limit the employer’s liability for on the job injuries and work related illnesses. Essentially, by a worker filing a claim under their employer’s workers’ compensation coverage, he or she is relinquishing rights to file any other form of negligence or liability lawsuit against the employer. If the employee’s claim is denied, there are other avenues available for continuing to pursue benefits, like filing a claim with the appropriate state agency. If you want to appeal a worker's comp claim it is highly recommended that you consult with a workers comp attorney. Who May File a Workers' Comp' Claim? If you are employed by a large organization, or if you simply have an occupation with a smaller business, you can still be eligible for a workers' compensation claim. In most instances, only employees may file a workers comp claim for their own illness or injury; however, in those instances where the illness or injury results in death, spouses and other dependents may file a claim for burial expenses or death benefits through the workers' compensation system. Any employee can file a claim under their employer’s plan for an work related injury for which they can provide proof. With that being said, the claim will be thoroughly reviewed by the insurance provider and a separate accident or incident investigation will typically be conducted by the employer as well. Whether or not a claim is found eligible under the workers' comp system will be determined by the insurance provider’s investigation. If the condition cannot be clearly linked to a work related accident or incident of some kind, then the claim can be denied. Workers can typically expect to receive payment for any out of pocket medical expenses associated with treating their workers’ comp medical condition. They can also receive payment for wages lost while receiving treatment or recovering from the qualified workers' comp condition. After being approved, workers will also have any ongoing treatments paid for under workers comp, though these treatments must be approved by the workers’ comp insurance carrier in advance, and must often be provided by a pre-defined medical facility or physician. Any treatment sought outside of the workers’ comp system can be denied under the insurance plan. Though workers' comp laws vary from one location and industry to the next, all require workers to notify their employers of an injury or illness that is work related. Requirements vary in terms of how and when notification must be made. In some instances, notice must be provided in writing. In others, a verbal notification may suffice. A family member or other representative may be allowed to notify an employer on a worker behalf under some circumstances. The timeframe for notification is different, but is always defined in some manner. Some statutes require notice is given within a specific number of days. In others, the language is more vague, stating something like “as soon as is practical”. In either case, workers should notify their employer as soon as they can in order to reduce the likelihood their claim will be denied. Failure to provide proper notification will result in denial, and waiting too long can make it more difficult to prove an injury or illness is the result of a specific incident that occurred at work. For more information on filing a workers' comp claim, be sure to read some of our Frequently Asked Questions.